A sunny day greeted us for our dressage and show jumping qualifying rounds at Moreton. Our riders for the dressage teams were Connor Pullin, Imogen Coles-Holland, Molly Russell and Jasmin Edwardson who made up team one, who did very well to finish 2nd overall and qualify for the National School Equestrian Association Championships at Keysoe in October. Our other three teams of Abby Moore, Scarlett Glover, Bea Parsons and Izzy Whitty finished 8th. Deborah Blair, Rosie Russell and Ava Wickem finished 6th. Zoe Kibbey, Molly Hayward and Molly & Rosie Russell finished 4th. There were many entries with 11 teams competing. In the Show Jumping Qualifiers Poppy Reeve, Abby, Imogen and Scarlett finished 8th in the 75cm class all gaining valuable experience for the future. Two teams competed in the 85cm class of Scarlett, Poppy, Ava Wickem, Rosie, Zoe and Molly who were just out of the placings. The 95cm class had two Thomas Hardye Teams entered of Molly, Jasmine and Connor, Molly Russell on her second horse with Bea and Izzy to make up another team. While no placings there were some great rounds by our riders over a challenging course. Our dressage team of Zoe, Bea and Molly Russell rode some lovely tests to finish 3rd as a team with an individual 8th place for Zoe 6th for Molly and a brilliant 3rd place for Bea. These classes were very competitive with 30 plus riders in the sections. The next day was the Jumping with Style Qualifiers. 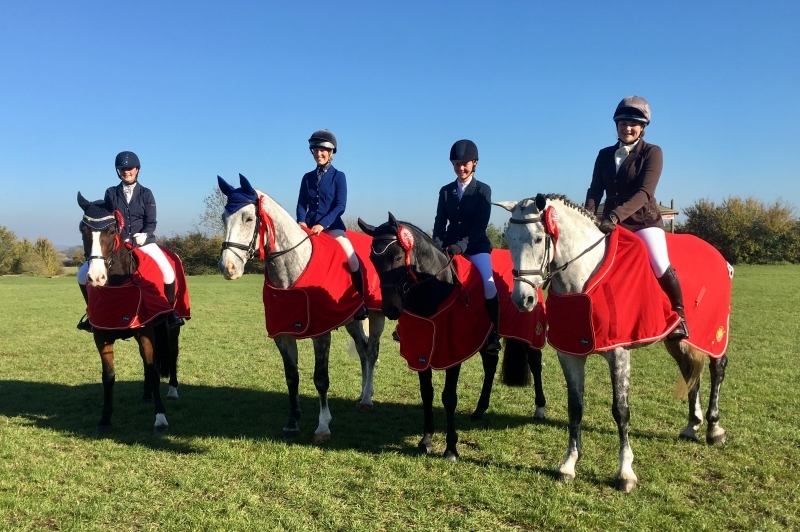 Our riders of Zoe, Scarlett, Ava, Abby and Molly competed in the 75cm – 1mtr classes and while some great performances there sadly was no placings for the teams or individuals. Four riders and their support crew, (i.e mums, dads, sisters and anyone else we could drag with us)! made the long journey to Keysoe, Bedordshire for these championships. Imogen Coles-Holland, Zoe Kibbey, Molly Russell and Bea Parsons competed as a Team in the dressage competition with 27 other teams. The team finished 19th overall in a very closely contested competition with only 4% dividing the winners with our teams placing. Riders also competed in some warm up dressage classes Zoe finishing 5th and Molly 6th. 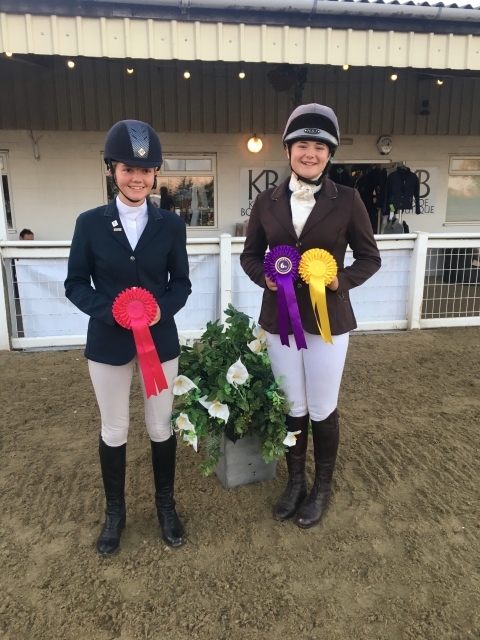 Molly and Zoe also competed in some show jumping classes with Molly gaining an excellent 3rd place in the 1mtr Pumpkin Special which saw a large field of 40 entries. Thank you to all our riders who competed in the school teams this year. We now look forward to seeing some new riders and our seasoned riders for the 2019 campaign.